Brendan Rodgers is convinced of their chances facing Arsenal this weekend. Arsenal have not lost at Anfield in the Barclays Premier League since March 2007 but Rodgers believes the confidence within his group means Liverpool approach a contest that could define their campaign with such confidence that they are not envisaging defeat. 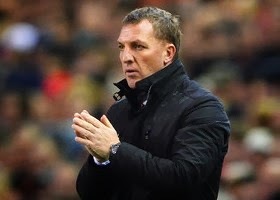 Rodgers said : “I think because of the way we work and play we can sometimes get the most out of our opponents because they’ve got to be on the top of their game when they play against us,”. “So we’re confident going into every game. I think the big change for us is we expect to win now. When I first came in the pressure to win was difficult for us. We expect it because of the club and the size of the club. But we were never that confident to consistently do it.